1. Caleb's Soccer Team Wins State Cup. At the culmination of Caleb's 14y+ of soccer, his team finally won the entire Washington state cup tournament for his age group - in the top premier league. 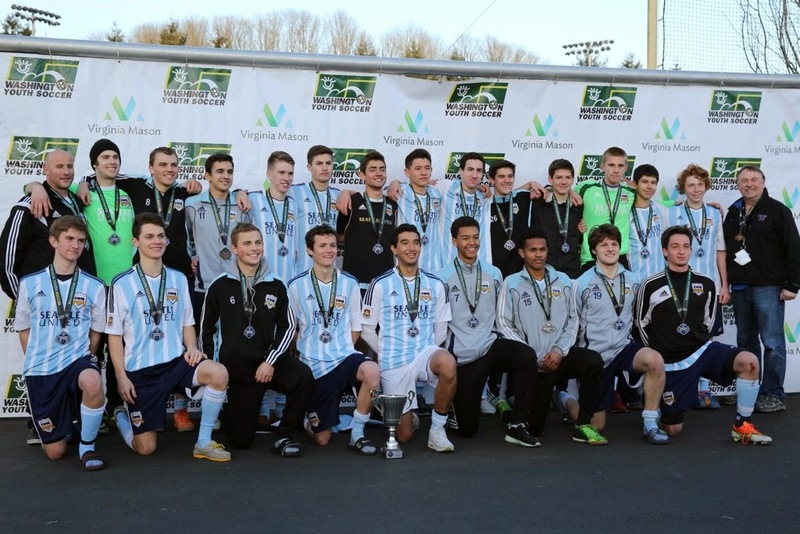 It was a lengthy season and huge accomplishment for the entire team, which "peaked" at the right time in the season to bring the trophy home for Seattle United BU-18 (copa). 3. Napping is back in Vogue. We made a point while living in Italy to adopt the "Siesta" model and encourage napping mid-day: it was awesome. A break early afternoon, gives the body a chance to recuperate, slows the day down, and seemingly reduces stress. Unfortunately, we lost the habit after returning to the USA. However, Caleb has reinstated the habit, given his early morning departures to the gym, and late nights of studying. Coming home after school, Caleb owns the couch in our living room - no questions asked. Outside the Top 5 for February, several worthwhile runner ups: mowing the lawn 2+ times, making fires in the backyard, going for walks with Janelle (as we expand our reach and exposure in Seattle).